Please note: This is key takeaways and analysis of the book, not the original book. very short and decieving way to steal people of 5 dollars. not a great book! This is not the book. This is a crappy summary of the book. Not wirth your time. just a summary, not the actual book. just a summary, not the actual book. just a summary, not the actual book. just a summary, not the actual book. Would you try another book from Instaread and/or Michael Gilboe? 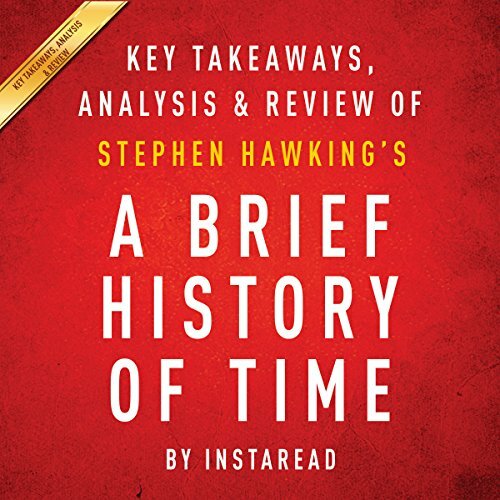 Beware, this book is not A Brief History of Time. If I could return this book I would, even for no points, just to get it out of my library. It is literally a joke. 1 minute summaries of each chapter? Cannot believe I was conned into buying a book on Amazon. How dare you fool people into buying your trash.